Have you heard the notion that people tend to look or act like their dogs? My face might not be as squishy as my Wally’s but we both have short legs, both have breathing problems and both don’t go very fast. Still, both of us are determined and we both adore the outdoors! As a BibRave Pro, I’m always given opportunities to run new races and test out new products. Pretty much all of these opportunities benefit only myself. I knew I had to jump up and not sit on the opportunity to run the Scooby-Doo Virtual Race Series. These 2 runs would help my furry friend and I get outdoors, get in shape and bring us closer. It will also get us both (yes both!) some medals and swag to reward ourselves for the hard work we put in for these runs. Jinkies! Scoob’s First Virtual Run! The Scooby-Doo Virtual Run Series is a two-parter, the Doo Good Virtual 5k in September and the Scoobtober Virtual 5k or 10k in October. Both virtual runs could be done on your own time and your own speed. Thank goodness, remember, Wally and I have short legs! Another thing my pup and I have in common is we love challenges. 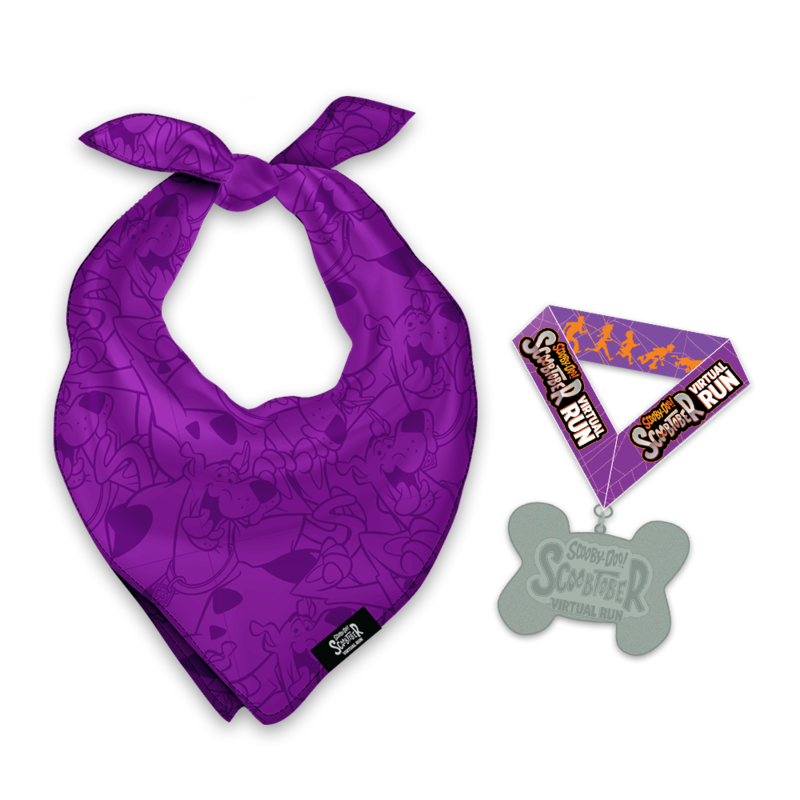 The Scooby-Doo Run Series has a special commemorative challenge medal for signing up and completing both races! Yep, we are doing the challenge. But, it’s not all about the swag. 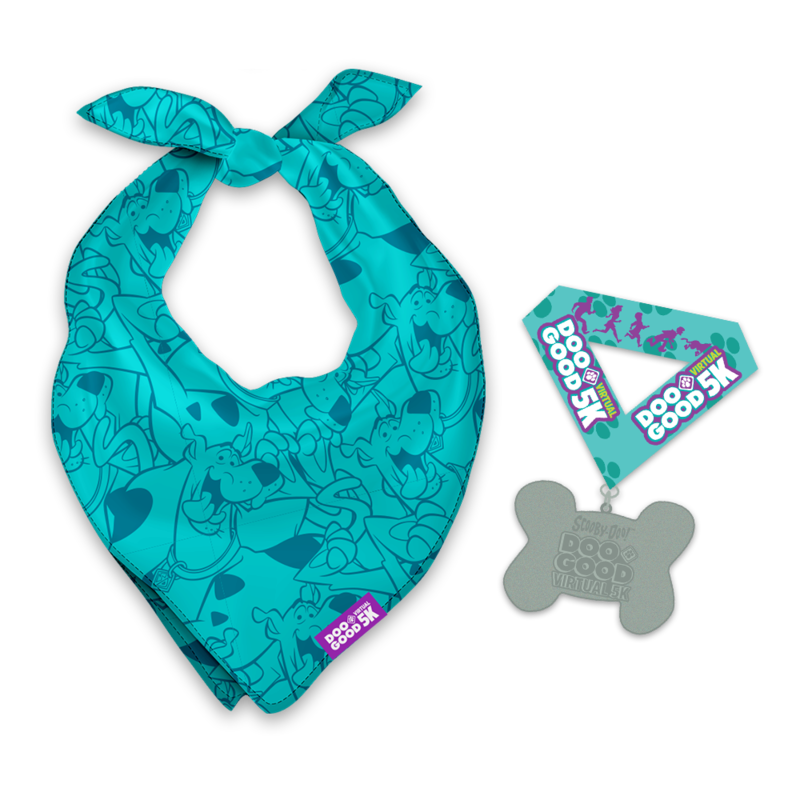 Both runs help support the Scooby-Doo “Doo Good” campaign and a portion of the registration will be donated to the Best Friends Animal Society. Aw, good dog! Doo So Good, Doo It Again! In September, Wally and I both ran the Doo Good Virtual 5k. We broke it up in 6 parts, which equaled out to .5-.6 a mile each day. Wally loves to go on walks and runs, but because he’s a brachycephalic (aka smooshed faced) breed of dog, we had to take this run slow and in bite-sized chunks. As the days progressed I noticed his pace got faster! At home, his snoring wasn’t as bad. We both loved being out with each other so much that we are doing the Doo Good Virtual 5k again and will start this Saturday the 15th. Will you join us? You must register by September 20th to get in on the Doo Good Virtual 5k or to do the challenge! If you only want to the Scoobtober, then register by October 20th. You like treats right? Wally and I will throw you a bone: 10% off registration. Apply code BIBRAVE for 10% off which comes to about $10 off if you sign up for the challenge series with the dog add-on. Register here!